Edit started practicing yoga at the beginning of 2008 when she was living in the breathtaking Balearic Island of Palma de Mallorca. Her interest in health conscious life and her passion for yoga and philosophy led her to the transformation of becoming a yoga teacher. She is a registered Alliance yoga Teacher. Her 200 hrs Vinyasa Yoga Teacher Training took place in Enchanted Mountain, Garopaba, Brazil in 2013 with David Lurey & Mirjam Wagner. Since then, she successfully completed a 300 hrs of Advanced Yin Yang Yoga teacher training program of Respiratory System, Pranayama, Digestive System & Bhakti Focus with Find Balance Greenpath Yoga in Palma de Mallorca 2017 and 2019. She is also a practitioner of Traditional Thai Yoga Massage since 2014. Her desire of understanding the therapeutic work of meridians in human body led to that she completed the first and second part of Craniosacral Therapy by Howard Evans, her Thai massage teacher in Zagreb Croatia in 2016. During these years she has been participating in workshops like Yin yoga - Meridians by Mirjam Wagner, Thao of Ching - Nico Luce , Backbend - Anabel Miranda. After more than a decade of traveling and exploring the world, she found her way back to her home town Pécs - Hungary to share her knowledge with generosity.  Edit teaches Vinyasa Flow at Yogaflow.